Hi, This is a simple, safe and easy step by step tutorial to Root Samsung Galaxy S Duos and install CWM Recovery with image guide. After root you can install custom Rom. Samsung Galaxy S Duos Nice phone it and use without any restrictions. Step 1: Download and install your Phone USB driver on your PC. And Down load CWM recovery and copy on your SD card. Step 2: Download Odin tool Now extract Odin tool in a folder. Step 3: Now Switch off your phone. 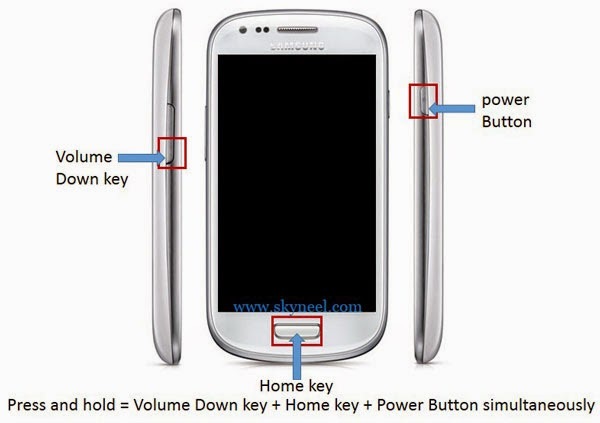 Step 4: Press and hold volume down key and home key with power button at the same time for 10 second maximum, see in this image. Step 5: You will see a warning message on your phone screen, press Volume up key to continue. Step 6: Now your phone entered in the Downloading Mode. 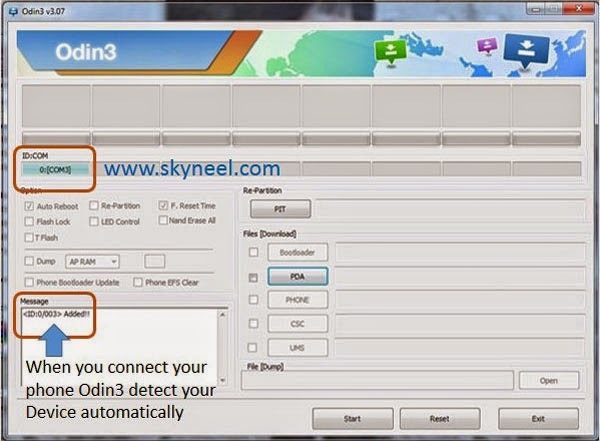 Step 7: Double click on Odin3-v3.07.exe file and run Odin tool. Step 7: Connect your phone to PC via USB cable, Odin detect your phone automatically and show com port and Added massage in massage box. Step 10: CWM recovery process take few second to install recovery on your phone.When Installation process will complete then you will see green box in the Odin. see in the image. Step 11: In this process your phone automatically reboot and you will get a massage pass in the Odin. 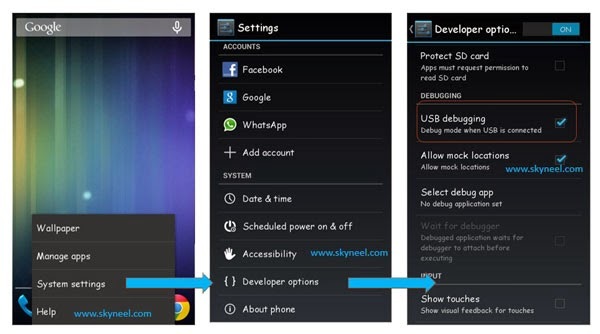 Now disconnect your phone and follow these step to install SU app and root your phone. Step 12: Download SuperSU.zip. file and copy downloaded file on your SD card. 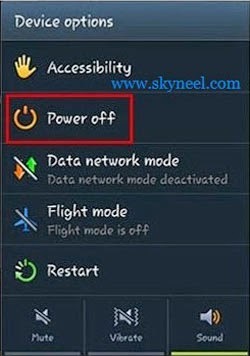 Step 13: Turn off your phone, Press and hold volume down key and home key with power button at the same time for 10 second maximum for go to recovery mode, see in this image. Step 14: Select install zip from SD Card >>> Choose zip file from your SD Card >>> now select the “UPDATE-SuperSU-v1.05.zip” file and install it. Step 15: Now reboot your Phone. Enjoy rooted phone with custom recovery. How to remove cmw recovery and unroot ? I’ve tried this at least twenty times, and it isn’t working. I have a Samsung Galaxy S Duos, Model GT-S7582, running Android v. 4.2.2, Jelly Bean. I am using Odin 3.10.7, which has different labels but I’m selecting the second entry, the one labeled AP. Odin reports success, then the recovery installation of SuperSU 1.25 reports success, and when it reboots SuperSU is not listed among the apps and Root Checker says, “Sorry! Root access is not properly installed on this device.” This is terribly frustrating. Other tutorials give exactly the same directions you do, so I don’t know what is going wrong. Any suggestions? then this process is successfully completed , now don’t reboot your device you just go to recovery mode and reboot . your phone is rooted enjoy. But my one qoutions sir…? Cf-auto-root file root your phone and install SU app on your Phone.